That’s mostly it. 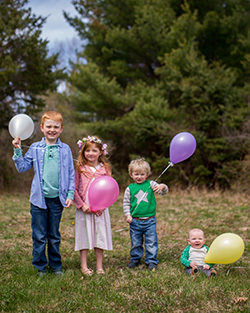 In the spring and summer when we can get stuff from the farmer’s market or our CSA they’ll eat a lot more – lettuce, sprouts, beans, peas, zucchini – but winter is long in Connecticut and trying to get in 3 servings a day is like pulling teeth. Considering Evan’s already been on supplements for his iron once (thank goodness we’re done with that!) I’m not above tricking them into eating their vegetables – we’ve done smoothies with hidden spinach, pureed veggies in the tomato sauce and thinly sliced squash in sandwiches and quesadillas, but I’m always looking for extra ways to sneak in nutrition. 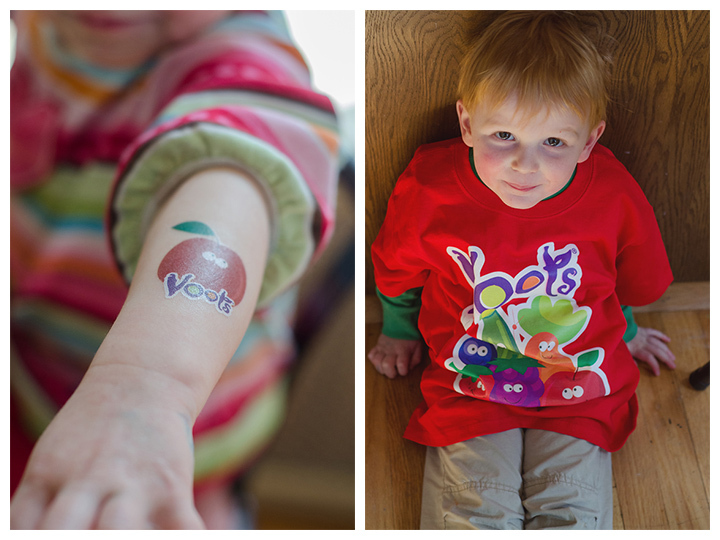 So when the people from Voots Veggie-Fruit Tarts reached out, I said we’d love to give them a try. When I got my package from Voots, I noticed the directions said “ages 4 and up” on them, so I ran the idea of giving them to Evan by my pediatrician. She said it was totally OK and well within the safe limits for vitamin C, especially since he’s almost 4 anyway (OMG! He’s almost FOUR!) and the restriction was probably more about choking rather than ingredients. 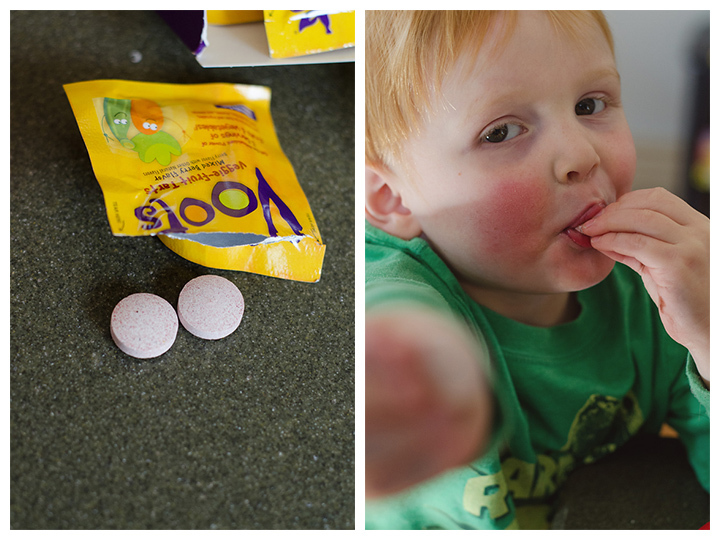 Evan’s opinion of Voots is that it’s “fun candy”, which I am doing nothing to discourage. I love that they come in little packages so I can throw them in my purse and let him have a “treat” while we’re out. They’d be perfect to put in a lunch box or even bring to work for your OWN lunch – Vitamin C is extra important during cold season! To win, just leave me a comment with your kid’s (or your own!) favorite fruit or veggie. 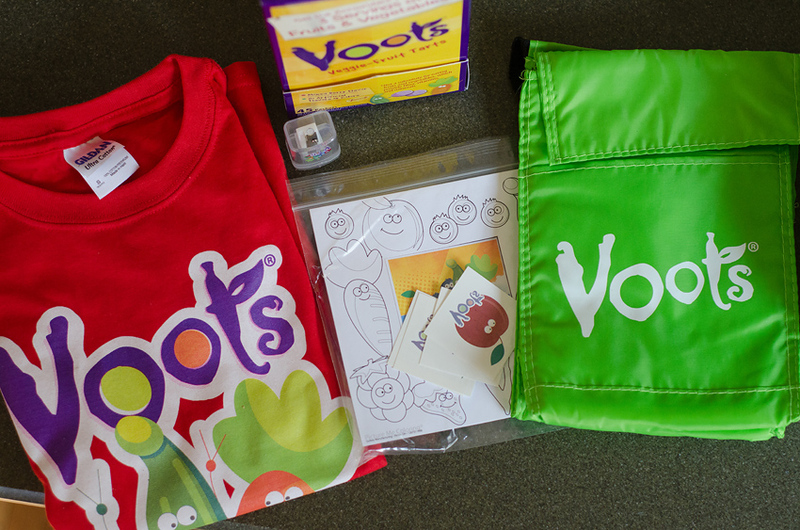 I’ll use Random.org to draw a winner on February 18th and email them so Voots can ship out their prize pack. Caroline is REALLY excited about that temporary tattoo. * Voots supplements contain 60 mg Vitamin C per serving. The average Vitamin C content of the top 20 most commonly consumed fruits and top 20 most commonly consumed vegetables is 19 mg per serving, for a total of 58 mg per three servings. Voots supplements are not intended to replace your daily intake of fruits and vegetables, which are important sources of fiber and additional nutrients. I received a prize pack from Voots for me to try out but no other compensation was provided and all opinions are my own. 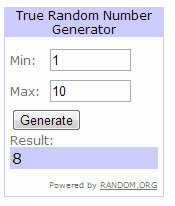 Congrats to Amy, who was commenter #8! Watch for an email to get your shipping address! Niko LOVES red bell pepper. In a pinch he’ll consent to try orange or yellow bell pepper but he doesn’t like them as much. He hates green peppers (duh, they taste like damp card board, I WILL FIGHT ANYONE WHO SAYS OTHERWISE THAT IS WHAT THEY TASTE LIKE OK). After that comes carrots, corn, and peas. The boys always prefer fruit, but I can usually convince them to eat carrots, peas, or corn. My trick is to put the veggies on their plates first, and they have to start eating them before anything else is added to their plate. Sophia loves ALL THE FRUITS. Seriously apples, oranges, banana’s, cantaloupe, pears, peaches….she’s not picky about them. Yeah, Ev and Del love all the vegetables. Mostly in the summer when they can pick them fresh off the plant and eat them raw. I’m having a terrible time getting them to eat them right now. I will give a million dollars to anyone who can get my kids to eat vegetables!! But they’ll eat fruit for days. Grapes and strawberries seem to be the favorite around here. My kid has inherited my food texture issues. So she eats bananas, oranges, and prunes. No vegetables – at all. It’s always a losing battle. My kiddos love all fruits but especially cantaloupe. they both LOVE it. As far as veggies it is hit and miss. They take after hubs and typically carrots and corn and green beans are it. These voots sound fabtastic! Spencer will also eat celery if it is cut in to sticks like carrots. But that is about it on the veggie front. He, too, will eat all the fruits. 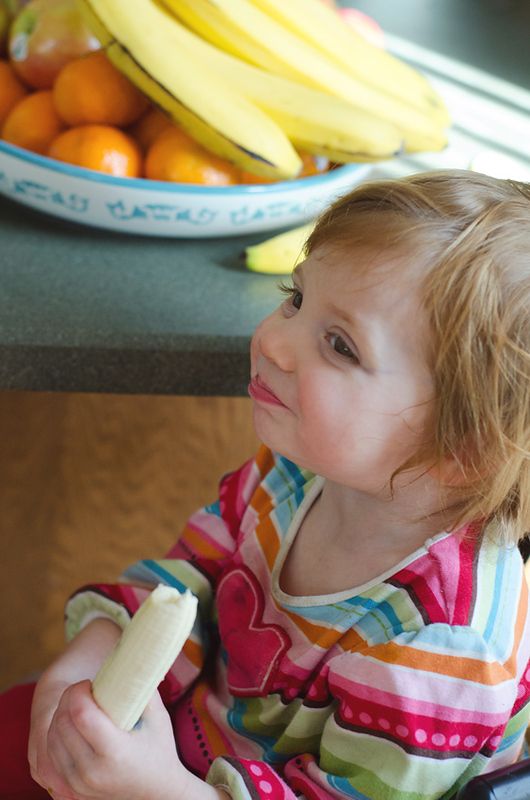 My kiddo will eat any kind of fruit but veggies are pretty hit and miss. She likes carrots, broccoli, and celery but seems to change her mind on every other vegetable daily!